Beautiful home located in the highly sought after Springfield Adult Community! 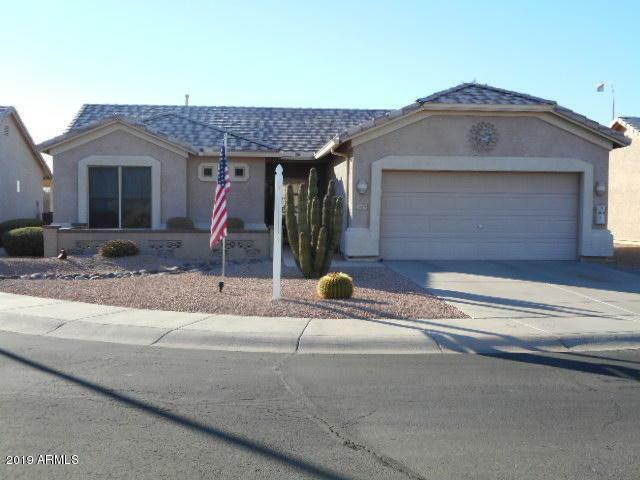 This amazing 2 beds/2 baths offers low maintenance desert landscaping, 2 car garage, and charming curb appeal. Sep inside to find a functional open floor plan that allows great traffic flow & tons of natural light. Neutral paint, tile flooring in transit areas, and den are some of the features that can't be left unsaid. Lovely eat-in kitchen with granite, stainless appliances, plenty of storage, pantry, & island. Master suite has a private bath with dual sinks & walk-in closet. Backyard include a full length covered patio perfect for relaxing while enjoying a quiet life. No two stories near for privacy! Gated community! Come see what this home has for you!